I knew I had found the "lid to my pot" when I met Shannon Coccie eleven years ago. This realization hit me during our first date, actually. We were eating at a restaurant that was far too fancy for me, but I wanted to impress this beautiful young woman. Our initial talk was about as standard as any first date, but as we got to know each other, I felt comfortable making a confession. I professed myself as a lover of old music and an avid collector of Dean Martin records as we finished the last bites of our dinner. She looked at me and I held my breath...and then...she smiled. She too had a confession. 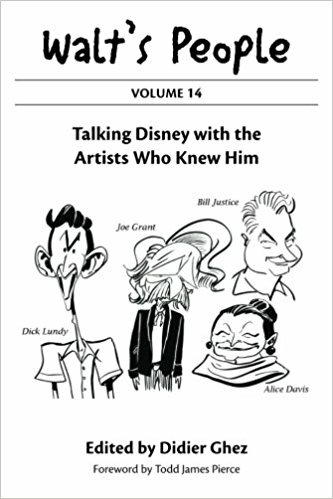 Dean Martin was of little consequence. 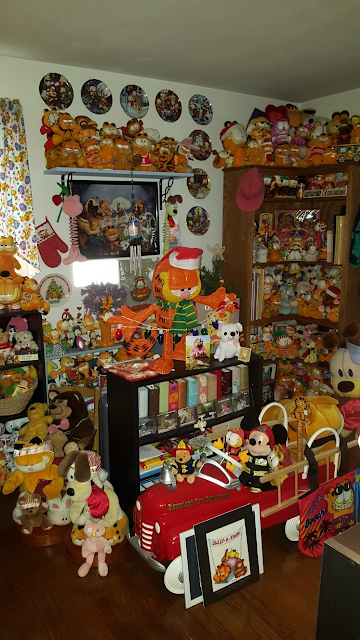 She had an entire room devoted to Garfield. We moved in together that fall, and were married three years later. For the last ten years, we have happily spent our lives in a lovely, little townhome in Pottstown. 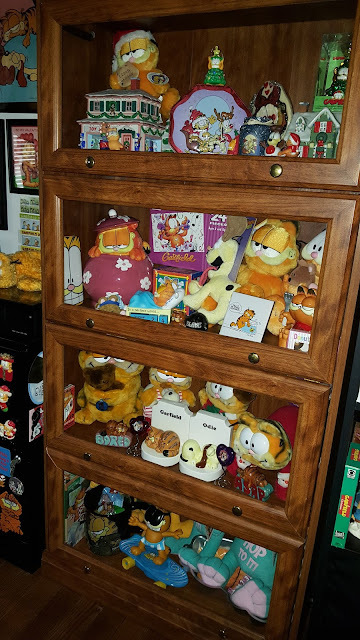 Having no children of our own, one bedroom was devoted to my random collectibles and the other to Shannon's Garfield "museum." I kid you not. 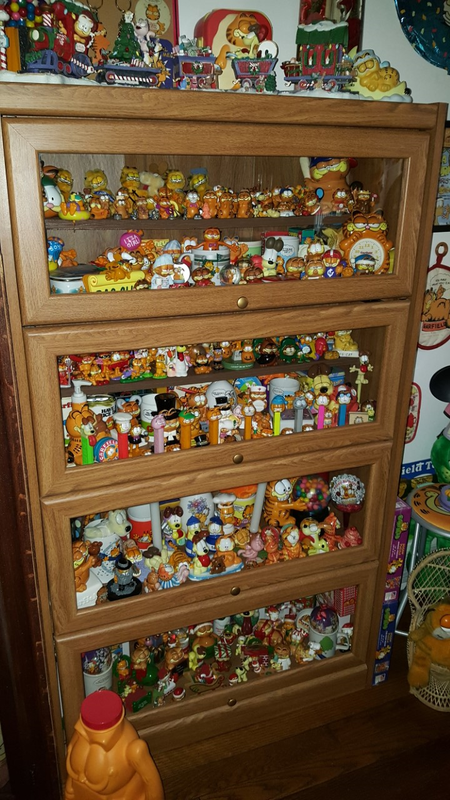 She's been collecting since she was five! 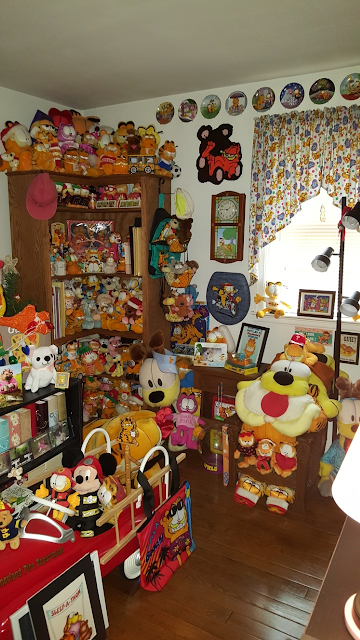 As of two weeks ago, the home of our dreams came a-knockin', and now it's time to pack. But for those who are collectors themselves, they understand the monumental task of protecting their treasures and readying them for a move. Shannon braced herself today, bubble wrap in hand, with over a hundred plush Garfields staring back at her. Before she began, I snapped a few pictures and wanted to share them with all of you. Oh! 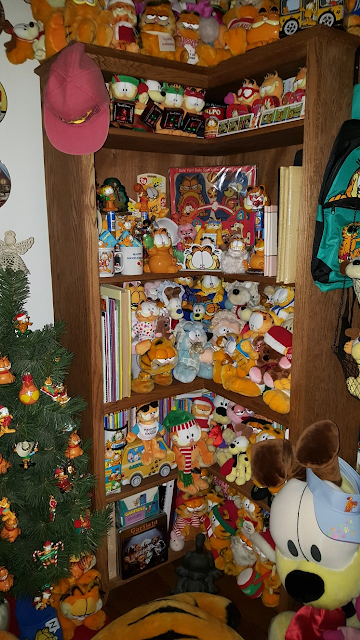 And forgive the random Disney items...that's just my collection spilling over into hers.